The Tibet Governance Project at George Washington University’s Elliott School of International Affairs was honored to host Ven. Dong Yonden Gyatso, a distinguished scholar, and one of the most respected public educators in Tibet today. The talk was held at the Lindner Family Commons room on Wed, March 21, 2018. The topic of discussion was Innovation in Education in Contemporary Tibet: Engaging a Public dialogue where Ven. Dong Yonden Gyatso la spoke in Tibetan and was assisted by Kirti Kyab who helped translate the lecture. The lecture began with the origin of Tibetan language and a brief overview of the important historical figures in Tibetan history such as the 33rd King Songtsen Gampo, who played a pivotal role in unifying Tibet under a written script. 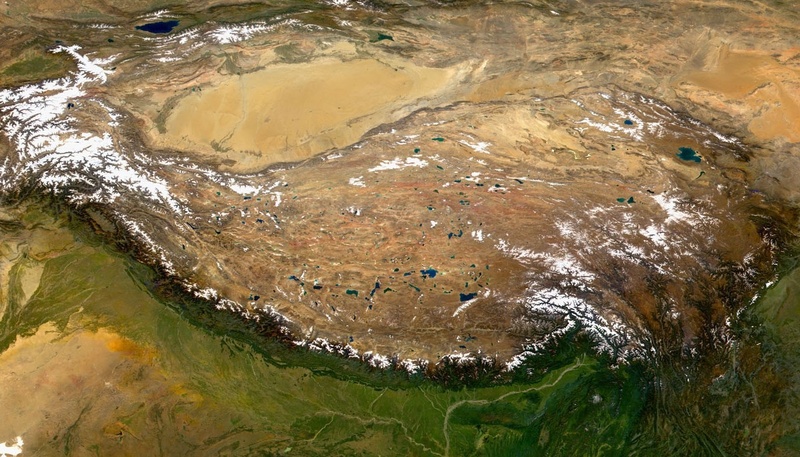 Now 1350 years later, the Tibetan language continues to exist and develop. The major development in Tibetan education and pedagogy was through monasteries, who became the epicenter of Tibetan education, where monks are exposed to different subjects within the monastic traditional school system. Dong Yonden Gyatsola emphasized that the monastic school system is not very different from normal educational institutions. In the monastic school system, there are the 10 aspects of knowledge system that is not usually covered in the normal schooling system. Hence, the idea of innovation in contemporary education. The Jigme Gyaltsen contemporary school is in the eastern part of Tibet, Qinghai province and was built to educate those who lacked the opportunity to continue their education due to various challenges. It also provides an opportunity for monks to study modern education curriculum while being exposed to a diverse age group as well as people outside the local region. The school’s curriculum has an innovative approach to integrating traditional Tibetan debating methods in all subjects. Instead of having homework in the evening and the morning, students take part in dialectic debates on what they learned. Ven. Dong Yonden Gyatso la remarked that the dialectical approach has proved to be an effective tool for learning. The school’s unique approach has now become a model for other Tibetan schools in the region. Ven. Dong Yonden Gyatso’s lecture led to a thought-provoking discussion that raised issues such as language, historical traditions, gender, and the use of the dialectical approach in contemporary society. Dong Yonden Gyatso is the vice principal and curriculum developer at the largest Tibetan school in China, the Jigme Gyaltsen Nationalities Vocational School. As a prolific writer and a leader in pedagogical innovation have traveled throughout Tibet to meet with Tibetan educators and to advocate the importance of preserving Tibetan language, culture, and traditions. This was his first visit to the U.S. Starting out with thirty students in 1994, the school has now 1,600 students enrolled. The school has graduated 1,400 plus students, with over 400 going on to become Tibetan educators themselves, which has truly empowered communities. Dr. Tenzing Choying has been affiliated with the Tibetan Medical and Astro. College of Men-Tsee-Khang since 2003. She followed in the footsteps of both parents — Dr. Yeshi Khando, her mother, and Dr. Pema Dorjee, her father — in becoming a certified practitioner of Tibetan medicine. She has been part of a project to translate the foundational Tibetan medical text, the “Gyushi,” and was an organizer member of the 2nd Body, Mind and Life Conference held in 2014. Tsering Choezom has been a lecturer and instructor at the Tibetan Medical and Astrological College since 1983. She is the first Tibetan woman in exile to formally complete the study of Tibetan Astronomy and Astrology. She was granted the Tsee-rampa Chungba degree in 2000. She taught Tibetan Astro. Sciences for a semester at the International Institute of Higher Tibetan Studies in Huttenberg, Austria in 2009 and 2012. She currently serves as the Head of the Astro. Department of the Tibetan Medical and Astrological College. On January 26, 2017, the GW Tibet Governance Project hosted leading Tibetan entrepreneur, Pema Dorje (Baima Duojie), for his first public lecture outside the P.R.C. In his talk, “The Road to Songtsam: A Social Philosophy of Entrepreneurship in Tibet,” Pema Dorje gave an account of the unconventional life path that took him from film production at CCTV in Beijing to founding Songtsam — his award-winning string of boutique Tibetan hotels inspired by the culture and civilization of Tibet.